Notice that none of the reasons above say: they have no money. If you are an artist and you are struggling to sell your art you may want to really look at some of these reasons above and see if any apply to you. What if they do not like me? 2) change yourself (re-brand) so that they can identify with you and your work. Whether or not you go look for a new market, you should still brand yourself. Why should any artist be interested in questions about branding and marketing? It is a fallacy to believe that a brand is something that only Coca Cola and Pepsi should worry about. As an artist you are your own brand. Whether or not you know it or acknowledge it, you are already a brand. How many times have you heard people go on and about Picasso only to learn that they have never heard of Cubism? They are clearly not interested in Picasso for his art but they are interested in the air they exude when they talk about Picasso. To talk about Picasso in some circles may give some people an air of intellect or sophistication. Every brand has a story and you have a choice – let someone write your story for you (because they will eventually) or write your own story. Be sure to tie the story of your brand to your values and ethics. What if they cannot find me? Most times we complain that we are not selling anything but the question we should be asking is: can people find what we are selling? Are you underground? Can they find what you are selling really easy or do they really have to search for you? Does your website tell people in 3 foot letters where and how to find you? Are you posting up posters and handing out flyers when you exhibit or go to a fair? 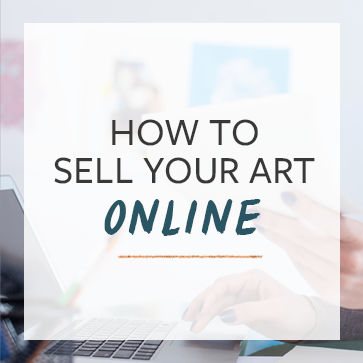 Is your artwork easy to buy online or at fairs? Do you have a way of keeping in touch with customers that bought your most recent work? What if they do not know I exist? So maybe your market likes you, some know where to find you but the other half does not know you exist. You need to start thinking about how you reach this half and let them know what makes you unique. Are you exhibiting at galleries or performing at shows? Have you let gallery owners, performance venues etc know you exist and are looking to exhibit or perform? Do you carry around business cards? If you are selling your art online is your bio and website easy to find? Are you on twitter or facebook? Is your website the first thing that comes up when someone searches for your name? Are you collaborating with other artists to get your name out there? Are you linking to other artists and doing guest posts? If you can solve any of the 3 problems, you will have a viable marketing strategy and a plan to sell your art. Vangile Makwakwa contributed to this post. She is a poet and writer with an MBA and an entrepreneurship certificate from the Simmons School of Management in Boston, MA and a finance honors degree from the University of Cape Town, South Africa. Vangile is the founder of Speak 2B Free, a company that promotes poets and storytellers globally by providing them with the tools and resources to market themselves. So…what is your personal brand? Thks and congratulations for your work helping artists. @antoniobasso thanks for the comment Antonio! @simonbrushfield Simon, brands definitely evolve. It’s interesting to see how the artists that I mentioned in the video have grown over the last year. @CoryHuff I agree, especially Vals videos. Her mini productions are becoming more and more professional. Very entertaining. From her movies it’s clear she is enjoying being herself and, in turn, the business brand grows stronger. I’ve found that branding myself/my art has been difficult because to me it entails a bit of ego. I am very short on the type of ego that says “LOOK AT WHAT I DID”, yet in a sense one must do that as an artist. Obviously, one likes to have fans do as much of that as possible. I’ve had a craft business for 20+ years and it is well branded and has many many fans and happy customers, but for me the craft is what the people like and it’s been easy to ‘hide’ behind the product. My drawings aren’t as much a ‘product’ and are more a part of me, so I’m having a bit of a time promoting ME. I’m working on it, and getting better (without seeming to vain), but it has definately been a block for me at times. I can agree with this entirely! I have always been shy, and generally grew up creating artwork so I don’t feel so overwhelmed by the stress of my family and upbringing but now that I am an adult I feel like art is the only thing I want to do with myself but it is near impossible for me to brand myself because it feels too much like bragging. I have this constant fear I’m going to bother my friends with all of the posting, even though I get nothing but positive feedback on my art. I have been trying to implement SEO tactics and everything to try to get more broad marketing but it seems to no avail. I can only keep trying, and wonder where I’m going wrong with all of this but it seems like I just need to be patient. Thanks for your comment, it was a small reminder for me that a lot of people who are shy are forced to market themselves and it is just a part of the process of trying to make it as a creative. Good luck with everything! I relate totally to what you describe in your comment Camille. Thanks! And to you Cory, most interesting article! I found this so helpful, thank you – I also struggle with self-promotion, Camille and KerryKelly, and worry about ‘bothering other people’ when i post on my fb business page, even though i always receive wonderful feedback. I’m finding that with time, confidence grows and my ‘brand’ is naturally evolving as i slowly show and sell my work. The more i do, the more ideas i have, also. This video really made me think more clearly about my artwork and what makes it unique…for me it’s the poetry inspiration, the ethical wools used in my felting and my love of nature. Thanks again. What a wonderful, inspiring and helpful site. Hi… I’ve been working with brands for many years and feel the impulse to offer this perspective: Personal Branding does not have to be egocentric although I get that many see it that way. Your intention behind your Personal Branding becomes part of your brand. If the intention is to stay clear, consistent and dedicated to your art and your fans than your branding has nothing to do with the ego, it’s about your integrity and responsibility to stay true to your message; It can be about cutting down sloppiness and being more whole. … It can even be about self respect, … nothing wrong with personal branding out of self care and self-respect. Right? another laura here – very well said. Personal branding is about two passions – your art and the folks who love you to make it, to add passion to their lives. learning to express yourself in language that people understand trust and connect with is building your brand. it’s not calculated, it grows out of your maturing integrity as an artist and your commitment to your art and your people. great comments, thank you Laura…and Laura! Thanks Laura, This was helpful. Very interesting you comments about Brand. Colour,although I am right now in muted colour , not on the web yet. Thanks for this article. I’m in the process of re-branding myself as an artist and this cut-and-dry article was exactly what I needed! Trying to find if I have a brand, and what it is, is really hard for me. Your article was helpful and so have been others on blogging. I have my own blog but find it hard to get followers at blogspot.com. This takes away so much time from art, but I know it’s got to be done. Would like your thoughts about my website. I’ve been working on trying to build (or rather identify) my brand. I’ve made note of the reocurring comments from friends, fans and collectors. So for now, my brand is “Bold Movement. Flowing Color.” Lord knows it will change as I learn and grow more. CORY! I was just last night wondering about this very thing! I got this thought of putting a great pic of me next to my logo, which would be excellent for getting what sculpture painting art I do in people’s heads with my picture there next to the logo description, and on every page. Would certainly help to brand me, what I do, & put a face to that. BUT, would people get sick of seeing my photo on every page like they’re being haunted? Also, would it be distracting on pages where I want people to buy my art and not have focus on my picture? “I” see the photo as a distraction, but don’t know how others see it. Boyfriend likes it as always. Friend says to pick one way & stick with it or don’t use the pic at all since branding must be permanent. Another thing is that I often like other people’s art, but not them, and don’t want to see pictures of them, nor in plain view, and on every page. PLEASE help give advice! Should I leave the pic next to logo or not? This is my sample Wix site I am about to transfer my domain to. Anyone… Tell me what you think please?? Ruth, I think having your picture there is a great idea. It’s your art, not someone else’s. Also, what if I ever sell my company with my picture and the new owners use my face with policies that I might be outraged about, that people/the public would come to believe about me, and not being true? And also, would this exposure although good for branding and selling more art, be bad as far as people recognizing me on the road or out somewhere & I get hounded, followed, chased or some undesirable social encounter? I have already been chased at 80 miles a hour twice just for the pervert to get an invading look in my car. Different vehicles each time. People ride even with my window & I hate that. I already have people scream at me from across the street too, wanting to know what year my car is and just hate this. I want to be left alone to drive what I like & not be asked if I want to sell my classic; and certainly have private time in the art supply store too, to concentrate on what materials I have to get. Yeah, all from a picture I am wondering placing near my logo. Would it accelerate already existing problems or not? What does all this branding truly mean, because I am about to do a lot of press exposure too & try to get in magazines & such fairly soon. Please, I hope you can respond! I would like to know what you think of personas? Im just embarking on being an artist. I have a somewhat dodgy past and there are some people Id rather did not contact me, so Im talking about a fresh start. So I wondered about a persona? I dont have 10 years to establish a persona like Banksy. George Elliot as you know was a woman but in those days to get published you had to disguise yourself, so now its acceptable that she used a persona. So my question is this if I used a persona and then people found out I was actually someone else would it affect sales ( as there may be trust issues for the buyer)? Also would it be better to use an out there obvious persona like call yourself The Great Magnifico, or simply rename yourself in the way John Wayne did? What is acceptable and more to the point what might help or hinder? Theres no link to my work yet as Im still creating sorry, but basically its modern art and to date I havent seen any similar, I have been to Art School, just not for fine art. Hey KitKat. Lots of artists use personas. It’s very common to simply use a different name. I see no problem with this at all. (sounds familiar…ummm). Whom Mr Huff, whom in the artworld has changed their name? Well apart from the graffitists like Banksy ?…Now I just have to think of a name….ummm that isnt so easy. If we were American Indian we could call ourselves things like runningbearwithbrush. Or shorthairypainter or pastelman…or woman. Im less sure of surreal names like Whaletemplate or functional items like Dustbuster. Cory in Britain we have a very tedious sitcom on radio 4 ( based on characters in a rural village, farmers etc) called The Archers. It takes dull to new limits, I could for instance call myself Pat Archer, can you hear the despair as someone looks up Pat Archer and finds my artwork…lol. In American terms that would be as bad as calling yourself Goldie Hawn..lol (not that she is dull or would fit in the archers!) Im rambling arent I, am I rambling…oh heavens! Thank you so much for sharing this today in your newsletter. With the new year coming, it’s perfect for us to rethink how we’re presenting ourselves. ‘Branding’ has always been a YUCK word for me too, and a difficult one to really settle on. By mistake I happened onto my ‘brand’ when I first started doing what I do now… pinks, with a girl hugging a teddy bear. Sometimes I think I should change it up as I think ‘oh I don’t even like pink that much’ or ‘I’m really a tomboy and I like action movies, so why do I use this look?’ … but really at the heart of it all, when I sit down and draw, I like making people smile and feel warm inside. So in essence I like feeling like my art is sending out a hug. Pink is also a soft and ‘sweet’ color. Even if I end up toning it down in the future, I think I will stick with it. It goes with teddy bears and the ‘sweet’ I like to emulate, and I also love actual sweet things (like cupcakes!) so pink is perfect. As I meditate on what I would like to accomplish in 2014, Branding will be on my list. I want to wake up with the notion of who I am as an artist and what my agenda will be each day. Thank you for this instruction. It’s helped me understand better where I need to focus. I think my brand is gratitude. I will be re-designing a bit in my website. I cannot put into words how thankful I am fir having found out about you! But this year it’s been Hard on me, 👉very Awful. This year has been so discouraging that I started to look for a regular job again. after been successful for almost 4 years in a row😢. Great post. I’m struggling with how to put together a webpage. Thanks for the examples and a jumping off point! I think my branding is undercover cool. I do a lot of work on old vinyl. With pop art inspiration. I think, nay, I know it’s cool! Thanks again for giving me direction!